Lunch in the city. So many options, so many of them overpriced and underdone. It’s always a bonus to find great food that’s great value. I’d heard of Via Abercrombie a lot since they opened up a few years ago, but never managed to get there. They’re tucked down Abercrombie Lane which runs between The Establishment and I think a Commonwealth Bank, off George street. 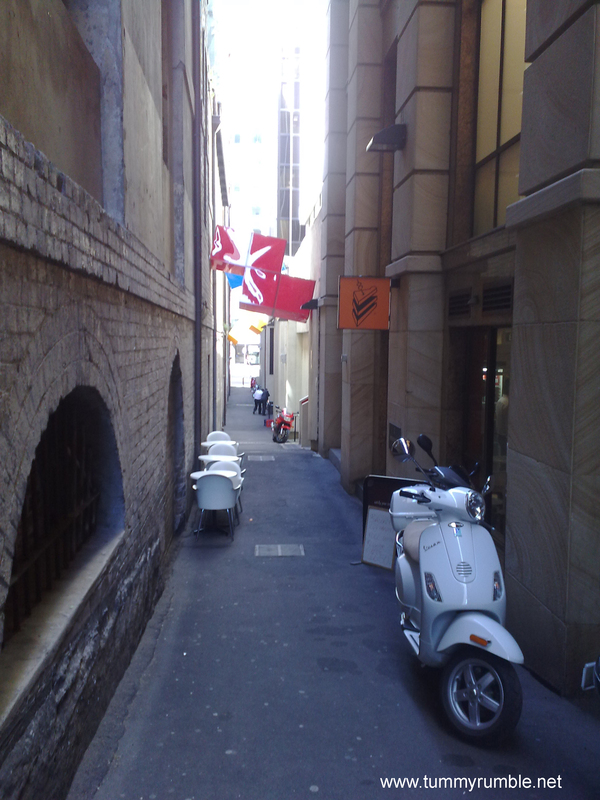 This petite little lane way is home to an awesome sandwich shop as well as an array of lurking smokers and cute vespas. Ignoring the smokers and head for the Orange sign, which has always kind of looked like a slice of cake to me, but others may disagree? Stepping inside this little box, the set up is straightforward: A Drinks fridge on your left as you walk in, just past that the coffee machine, straight ahead the sandwich bar and to the right one large communal table and a couple of smaller tables. Ok, what I see is a solitary green bean, beetroot, red cabbage, normal cabbage, eggplant, marinated mushrooms, maybe grilled zucchini too, cooked carrot and potato salad! 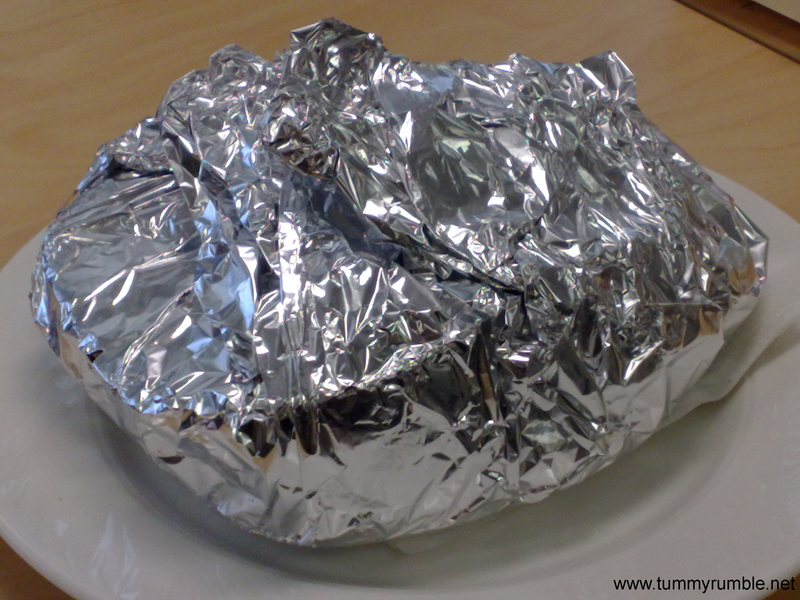 Oh, not forgetting the hoummous underneath it all. This sucker was so big I only needed to eat half of it for lunch. I popped the rest in the fridge and had the rest for lunch today. Pretty damn good for $8.50! hey- did this woman used to have a small cafe in surrey hills a while back? – we used to call them the ‘sandwich nazis’ (affectionately of course and never to them)… back then the sandwiches were $5. It was near the College of Fine Arts just off oxford st… I loved that place. Hi Patrick, Yep they did according to all reports. 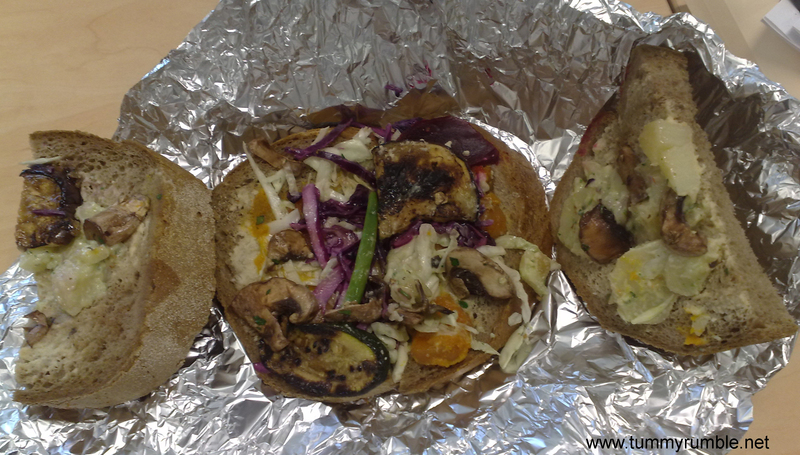 Ooh, $5 sandwiches…unheard of in the CBD! I’ll be a regular when I get back for Chrissie. 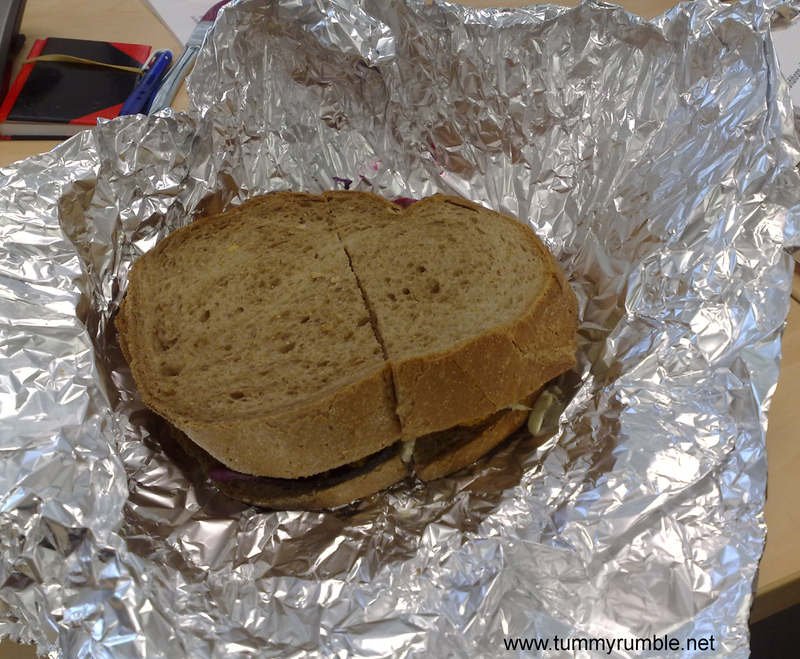 Thanks for posting pics of that sandwich- I have many fond memories of eating them in the art studio and saving half for dinner!